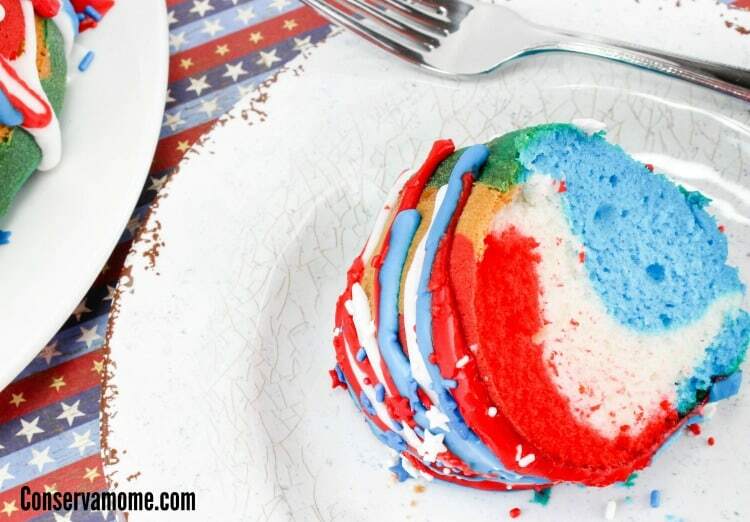 Making a patriotic dessert was never easier! 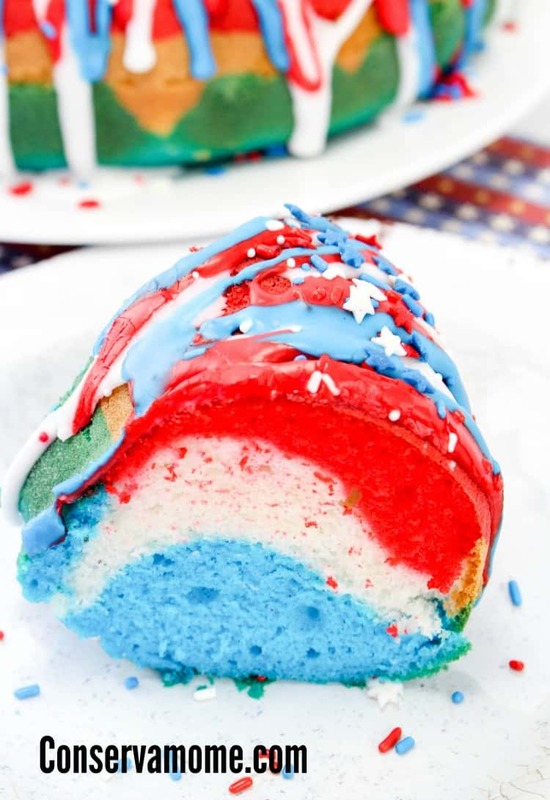 Check out the Easiest Ever Patriotic Red, White & Blue Cake Recipe. Your guest will be blown away by it’s beauty, you’ll be blown away by how easy it was to make! 2. 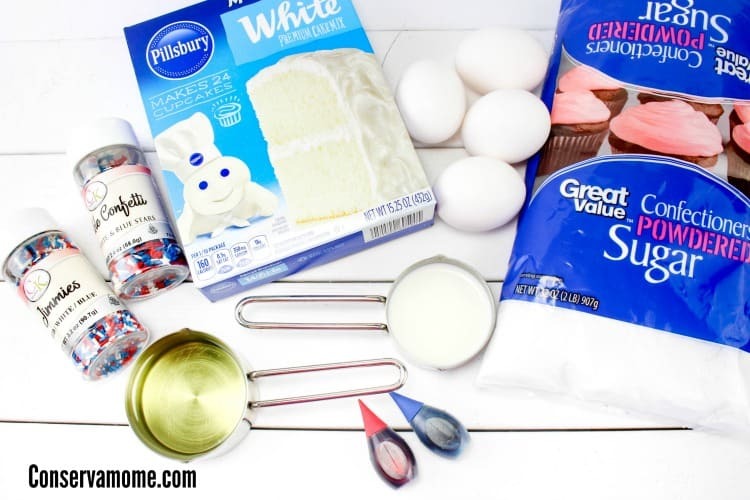 Prepare cake mix using the egg white recipe from the back of the box. 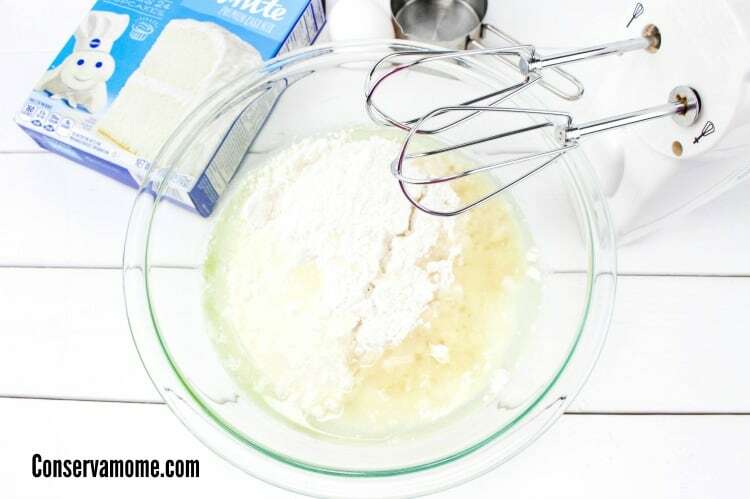 Divide the batter evenly into 3 separate bowls. 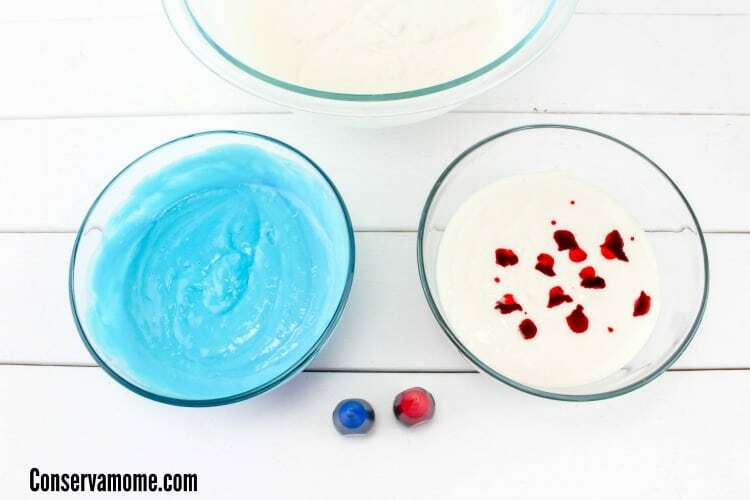 Color one bowl of batter red, another blue, and leave the last bowl of batter white. 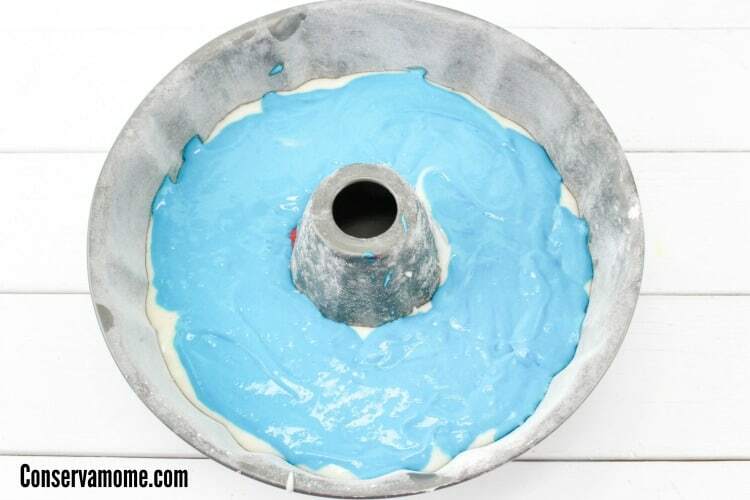 and finally layer the blue batter on top. 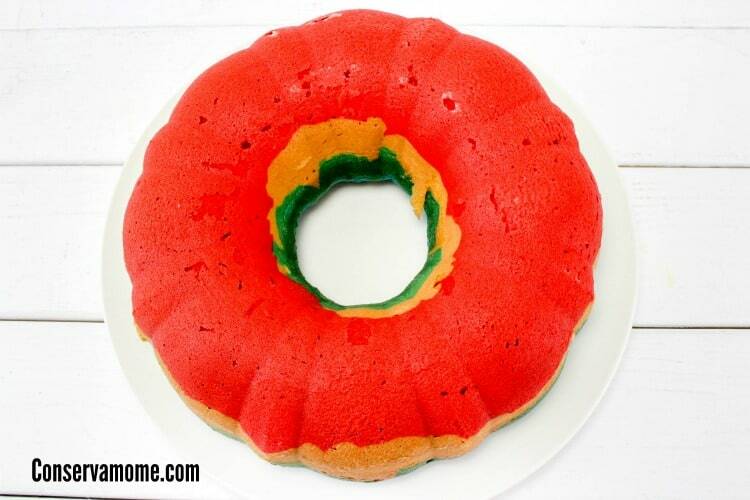 Tap the pan a few times on the counter and bake the cake per package directions. liquid as you need to. 5. 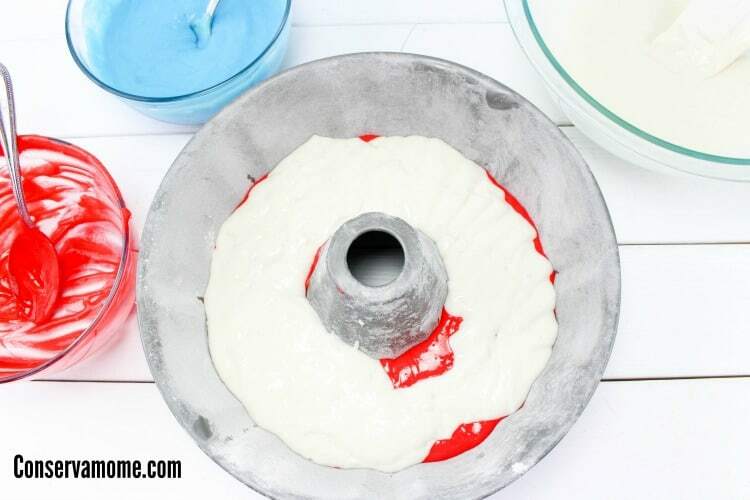 Divide the glaze evenly into 3 bowls, and color one red, one blue, and leave the other one white. 6. After the cake is done baking, remove from the pan, and cool completely. Spoon the glaze over the top so it runs down the sides. Alternate colors so it looks red, white, and blue. 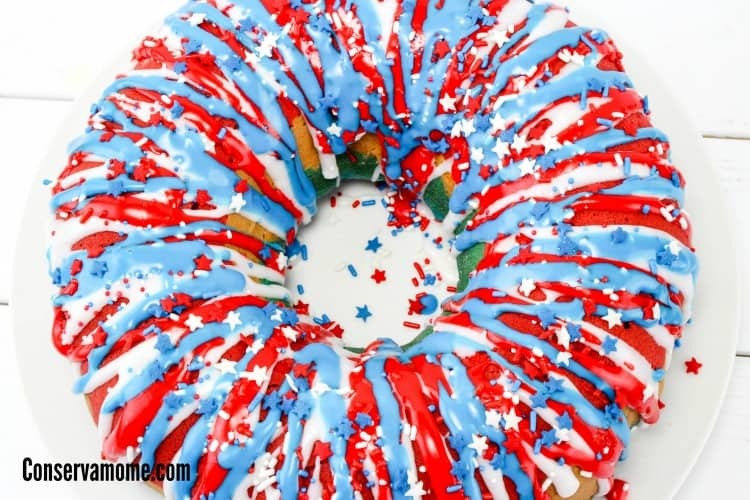 Add sprinkles all over the glaze right away before the glaze hardens. 7. 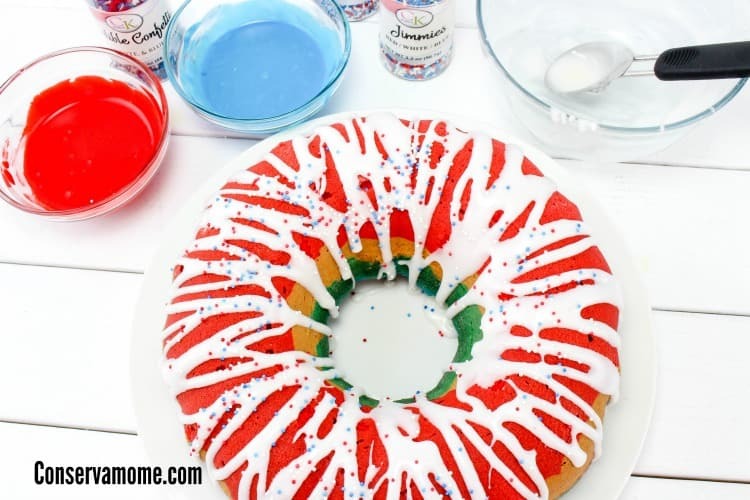 Enjoy this fun cake for your Memorial Day or 4 th of July celebrations! Doesn’t it look simply wonderful? Most important it’s a delicious treat that will blow your guest away at how cool it looks, yet you’ll know how easy it was to make. 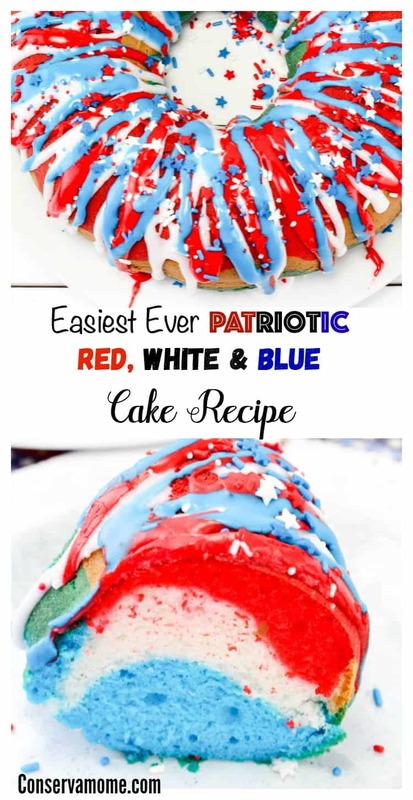 Are you looking for more Patriotic fun? 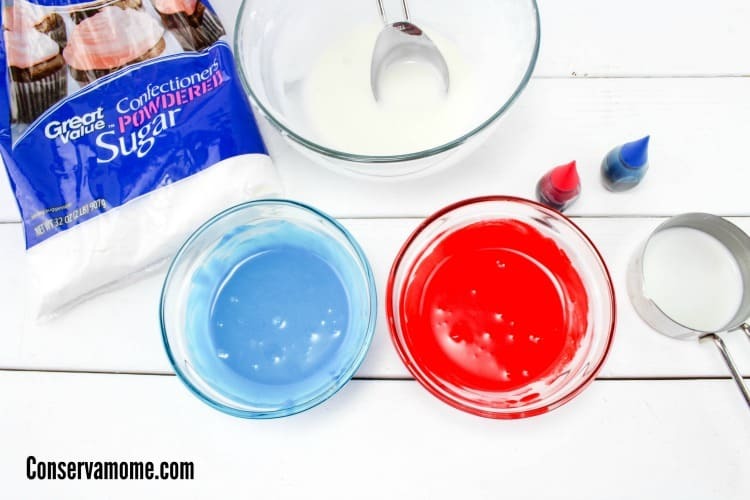 Check out 60+ Patriotic Crafts perfect for Fourth of July, Memorial day and more! This is so neat! My kids would get a kick out of it for the 4th of July! It also looks very pretty. Colourful unique and sweet, I’d eat. That is a really pretty cake. Thanks for the great idea!